Bored with the Mac OS X default screen savers? I was too, sure you can make your own screensaver out of pictures but I wanted something more than that. 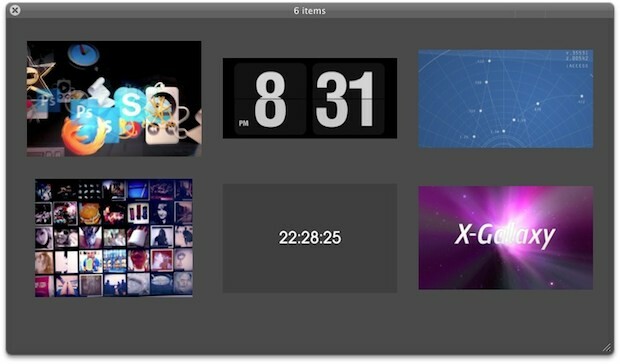 Here are six random and free screen savers for Mac OS X: a new fancy Instagram feed, two cool galaxy animations, 2001’s HAL computer display animations, flying app icons, and two different clock screensavers. 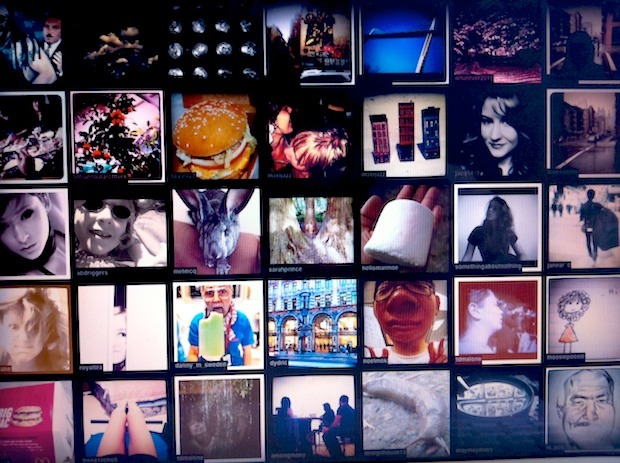 Screenstagram: this Instagram screensaver pulls images either from your own instagram feed or the popular feed. If you like to keep track of what’s going on in the world of Instagram or just enjoy looking at photographs taken by strangers, you’ll like this one. 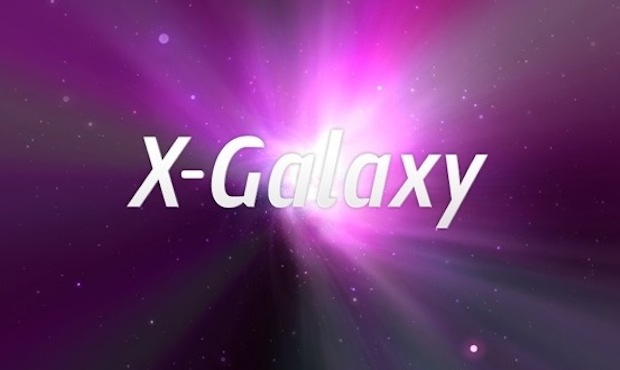 X-Galaxy & X-Vortex: Basically an animated version of the Aurora desktop wallpaper in Mac OS X, it’s attractive, spacey, and is kind of similar to the background animation you see in the Versions app of Mac OS X Lion. Screenshots don’t really do this one justice, and there’s two different variations in the bundle, one that is a swirling vortex and the other just an animated aurora with moving stars. HAL 9000: everyones favorite sentient creepy computer HAL 9000 is now a screensaver, but don’t expect just the glowing red orb, this flips through a series of other HAL 9000 display animations from 2001. 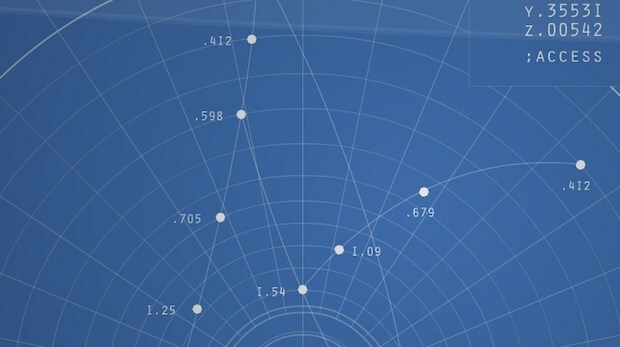 Econ: Econ gathers icons from your /Applications folder and sends them flying at you, kind of like those classic space travel screensavers, but with icons. My screenshot of this one came out terrible, but it looks a lot fancier in person. Fliqlo: We’ve posted about the classic flip clock screensaver before and it’s always a popular one. Simple, low overhead, the only complaint is that it’s based on Flash. Today: Today is a minimalist clock screensaver, you can set it to either show the time or the date and select a background color, that’s about it. Simple and clean. I’ve been on a bit of a customization kick lately, you can grab my own wallpaper collection and the Mac OS X Lion wallpaper packs if you want to spice up the desktop background side of things. You can also set a screen saver as your desktop wallpaper, just be aware that it’ll eat more CPU if you’re using a complex screensaver, while things like simple image transitions don’t tax your processor much. the Instagram screen saver is great, thanks for that. Tomball, make sure that you have the Flash plugin installed, the Fliqlo clock uses Flash as the basis of it’s animation. I have it working in 10.6.7, what problem are you seeing? The program is grayed out. I do not have rosetta installed. That might be the problem. If it is I hope a native version for 10.X is made available. I have always wanted this screen saver. Make it work on dual screens too please! Same story for the Econ screen saver – will not work on Lion. Comments on the page suggest it won’t work on Snow Leopard either.